GiveBig to the King County Parks Foundation on May 3! On May 3, donations to the King County Parks Foundation will be stretched thanks to funds from the Seattle Foundation and corporate sponsors. 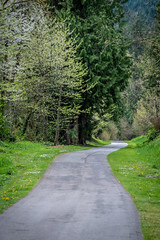 The King County Parks Foundation’s mission is to cultivate private-sector investments to connect communities to regional trails, open space and parks and to support the resiliency of King County’s parks and trails for future generations. So it’s time to GiveBig! GiveBig takes place tomorrow, May 3 , from midnight to midnight. During these 24 hours, donations to participating nonprofits will be stretched. Over the past 5 years, more than $56 million was invested in the greater Seattle community through GiveBig. This year, GiveBig believes that businesses, nonprofits and philanthropists can work together to invest $20 million in 2016. Let’s reach that goal by donating to the King County Parks Foundation!